ANKARA, Turkey (AP) — A detained American pastor has become a symbol of a growing rift between Turkey and the United States, but problems in the Cold War-era alliance as well as Turkey's own financial crisis are unlikely to dissipate even if he is released and Washington eases economic penalties. The fate of Andrew Brunson, charged with terror offenses by a Turkish court, also overshadows the predicament of a Turkish-American scientist from NASA and several Turkish workers for the U.S. diplomatic mission who were arrested in Turkey. Turkey, meanwhile, is frustrated by the refusal of the U.S. to extradite a Pennsylvania-based Muslim cleric accused by Turkish authorities of engineering a 2016 coup attempt. The conflict between NATO allies is even more personalized because of U.S. President Donald Trump and Turkish President Recep Tayyip Erdogan, whose uncompromising statements contribute to a sense that the tension will ratchet up before any possibility of a climbdown. The two countries already disagree over U.S. support for Kurdish fighters in Syria, as well as a plan by Turkey to buy Russian missiles. Dashing hopes for a quick solution to the dispute, a Turkish court on Friday rejected an appeal for the evangelical pastor's release from house detention. It upheld a lower court's decision against the lifting of a travel ban on Brunson. Also Friday, in more verbal sparring, Turkey's trade minister said her government would respond in kind to any new trade duties from the United States after U.S. Treasury chief Steve Mnuchin said the U.S. could put more sanctions on Turkey if the pastor is not released soon. "We have responded to the measures the United States has taken, and will continue to do so based on our international trade law rights and in accordance to World Trade Organization rules," said the minister, Ruhsar Pekcan. The United States has imposed sanctions on two Turkish government ministers and doubled tariffs on Turkish steel and aluminum imports. 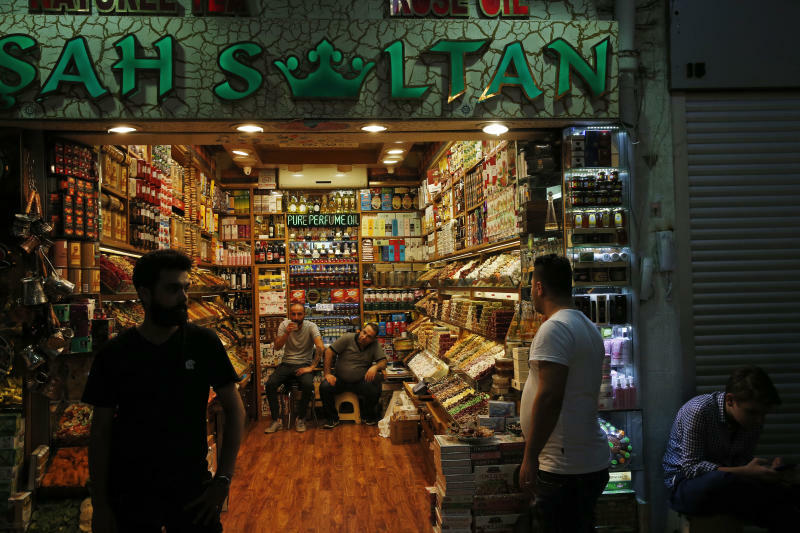 Turkey retaliated with tariffs on some U.S. imports and said it would boycott U.S. electronic goods. 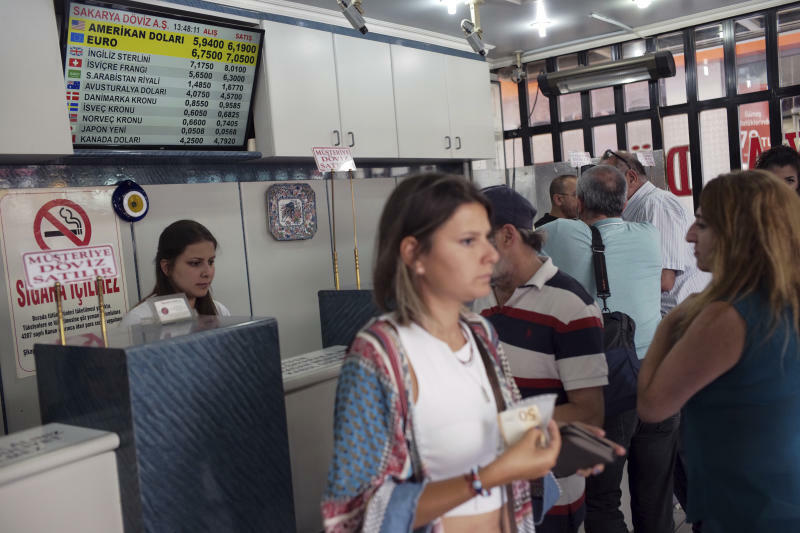 Turkey is struggling to stabilize its currency after it plunged to a record low in a crisis that spurred fears of bankruptcies and a spillover effect in other emerging markets if Turkish firms can't pay back high foreign debt. Many financial experts say Turkey should raise interest rates to reduce inflation and attract investment, but Erdogan has so far opposed a move he says would curb growth. The turmoil led ratings agency Moody's to downgrade Turkey's credit rating further into "junk" status and slap a "negative" rating on its outlook. Moody's stripped Turkey of its investment-grade rating in 2016 and Friday's move lowered it one rung further. The leader of Turkey's main opposition party said Erdogan was using the standoff over the evangelical pastor as a "pretext," blaming the United States for economic problems and diverting attention from his own alleged mismanagement. The feud over Brunson, who was detained in October 2016, has added to the jitters over an economy that grew quickly, with the help of heavy borrowing, in past years. 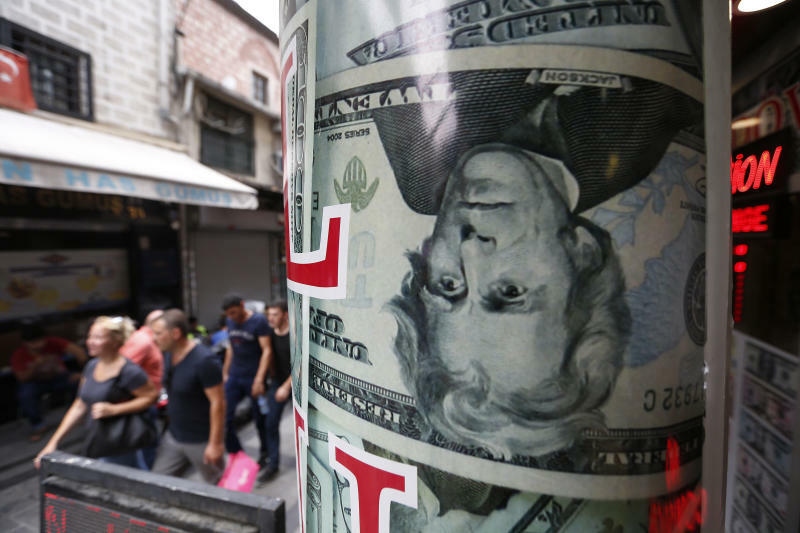 "Do you think the lira will gain against the dollar if Brunson is released? Would the amount of Turkey's debts decrease?" Kemal Kilicdaroglu, head of the Republican People's Party, said Thursday in Ankara, the capital. Supporters of Brunson, who ran a small church in the Turkish coastal city of Izmir, say allegations that he was linked to Kurdish rebels as well as Turkish cleric and alleged coup plotter Fethullah Gulen are absurd. Erdogan previously suggested a swap in which Brunson is released in exchange for Gulen, though U.S. officials have said Turkey must present convincing evidence for any extradition proceeding to be considered. "We will pay nothing for the release of an innocent man, but we are cutting back on Turkey!" Trump tweeted on Thursday. He criticized Turkey for "holding our wonderful Christian Pastor." The Committee of Concerned Scientists has compared the Brunson case to that of Serkan Golge, a NASA scientist who was arrested at the time of the coup attempt and was sentenced to more than seven years in prison for alleged links to Gulen's group. "A one-dollar American bill was found in Dr. Golge's possession when arrested. It was presented to the judge as the incriminating evidence against him. The serial number of the bill allegedly represented Golge's place in the hierarchy of the Gulen organization," the committee said in an Aug. 6 letter urging U.S. Secretary of State Michael Pompeo to campaign for 36-year-old Golge's release. American officials have also protested the detentions of several Turkish employees of the U.S. diplomatic mission in Turkey, including Metin Topuz, Hamza Ulucay and Mete Canturk. Turkey, in turn, criticized the prosecution in the U.S. of Mehmet Hakan Atilla, a top official at Turkey's state-controlled Halkbank who was convicted of helping Iran avoid U.S. sanctions. It says the case against Atilla, sentenced to 32 months in prison, was politically motivated. If convicted, the American pastor faces up to 35 years in jail.